Repeats — supra & id. Users can format their own comments using the online tools provided by the ICC Forum. Users who are registered and logged in will see, on the pages for each issue, a button labeled: “Write a Comment on This Issue”. After the comment has been moderated, it appears in the formatting style created by the author. The webmaster will sometimes go back and recode a long Self-formatted Comment to make it collapsible or fix significant coding errors. The guidelines on this page aren’t designed for the authors of Self-formatted Comments who are free to ignore them. Coded Comments are authored as Microsoft Word format documents. Coded Comments can contain more complex features than Self-formatted Comments would allow — usually footnotes and outlined headings, but sometimes figures, lists, block quotes, author remarks, tables, embedded videos, and more. Coded Comments are sent via email attachment to admin@iccforum.com. During coding (Coding or Coded), the webmaster manually converts the comment into HTML for publication on the ICC Forum. Authors of Coded Comments need to follow these guidelines. Citations are a picky business. These guidelines are intended to assist a Coded Comment author properly implement the ICC Forum’s citation style. These guidelines are different from how an article would be submitted elsewhere because the formatting task is performed by the webmaster during Coding rather than by the author in the submitted Word document. (In this context, formatting refers to changing fonts to small caps or all uppercase, italicizing titles and signals, abbreviating the names of publishers and dates, and a variety of other changes to the way a citation looks.) This approach helps keep formatting consistent across the ICC Forum. Authors submitting legal articles elsewhere may find these Guidelines useful too. Those authors should use the “Results” section in each exemplar for guidance on appropriate citation form. But be warned that citation style is controversal; each publication tends to be highly opinionated. Don’t be surprised to find citation conventions that differ from these. As an exclusively online publication, the ICC Forum has developed its own approach to linking to publishers and source material, so our citation style is particularly different in the URLs and source location sections. Also Coding Markers are solely an ICC Forum innovation and are not used in submissions to other publications. Finally, we must admit that the ICC Forum citation style has evolved over time and is not perfectly applied across this site. There are plenty of examples of comments on the ICC Forum whose citations violate the rules set out in these Guidelines. The ICC Forum is an exclusively online publication. Linking to online versions of source material in citations is important to our readers. Provide an online version of your source – a URL – unless you determine after a diligent search that it’s just not available. You need to do some research to find an online version. If you are a legal academic or professional, you may have access to resources not available to the general public; prefer links to publicly available sources over links to sources behind a paywall. See below. For general questions of grammar and usage, we consult the Chicago Manual of Style, 17th edition, online version paywall. Don’t format citations in Word: no small-caps fonts or all caps. See below. Don’t abbreviate the names of publications — spell them out. See below. Don’t abbreviate the months of dates in citations — spell them out. See below. Add Coding Markers to assist in communicating specific information about your citation for the Coding process. See below. Examples are: [BLOCKQUOTE] [REMARK] [REF] [PDF] [DOC] [SIGNAL] [LATIN] [LIST] [BOOK] [REPORT] [NOTFOUND] Proper use of these Coding Markers are described in various sections below that can be reached by clicking on the desired Coding Marker above. Coding Markers are always removed during Coding and prior to posting the comment. See below. When referring to a citation that has previously been cited in full, never repeat a full citation in a subsequent footnote. Always use either id. or supra See below. You need to create an account on the ICC Forum. Recommendation: use your full name (or last name) as your username. The username serves as your byline next to your posted comment. Recommendation: create a profile with a portrait photo. The photo is always displayed next to your comment. So make it a nice one. Final Coded Comments are submitted via email to admin@iccforum.com as an attached Word document. It’s fine to embed images in the Word document, but they must also be sent as separate attachments, with no lossy compression and at high resolution. If you have created a figure or a table, send the original creation document as well as the uncompressed output. This can be helpful, especially if there are errors that need to be corrected or a higher resolution version is needed. Generally, sending too much is better than not sending enough. Also remember to include your ICC Forum username with your submission. Please be sure only to submit your comment when it is in final form. While an exception may be made for a typo or two, once your comment has been Coded, it cannot be revised. The “Entire Comment” section of these guidelines refers to items that are applicable to both the Comment Body (main text) and the Citations sections of your comment. The formatting of citations happens when the comment is Coded, not in your Word document. In some ways, this makes things easier. In your citations, the use of italics is not required; presentation styles that you might otherwise make manually in your Word document are applied during Coding. Don’t include a byline, bio, table of contents, or other extraneous material in your comment. Here are some Coding Markers; click on them for more detailed information on their individual use. [BLOCKQUOTE] — used in main text area for long quotes and in footnotes for quotes. [REF] — internal references that link to another section of the comment. [LIST] — ordered or unordered lists. Place this Coding Marker at the beginning of the list. [LATIN] — if a foreign language phrase isn’t in the recognized list, use the Coding Marker, followed by the definition within parentheses, to treat the following word or phrase as foreign language. It doesn’t need to literally be in latin for use of the Coding Marker. [SIGNAL] — used to treat the following word or phrase as a signal. Only use if the signal isn’t in the recognized list, (e.g. “Compare e.g.”). [REMARK] — used in citations for author remarks about the source or its meaning in the context of the comment. [PDF] or [DOC] — if a URL is a pdf or doc, but does not have a clear extension at the end of the URL of “.pdf” or “.doc” then use these Coding Markers. They’re placed at the end of those URLs preceded with a space. [BOOK] or [REPORT] — put at the beginning of a citation of the appropriate type. In addition to some other differences from other sources, the titles for books and reports are rendered in small caps during Coding. [PAYWALL] — put after the “available at” URL if the online source is only accessible to subscribers or requires other forms of registration or payment. Paywall URLs get a different treatment during Coding. [NOTFOUND] — put after a citation if, after a diligent search, an online source cannot be found. In [REF] Part I of my comment, I develop a new paradigm for reparations. Then, in [REF] Part II, I discuss how to determine the appropriate target for reparations. Finally, I [REF] conclude with some very pithy remarks. Spell out a number that begins a sentence. Spell out round numbers like hundred, thousand, million. Be consistent with numbers in a series; either all should be spelled out or all should be numerals. E.g. The sentences were for twelve, forty-five, and fifty months respectively. but The sentences were for 12, 45, and 132 months respectively. Use numerals if a number contains a decimal point. Use numerals if a number refers to percentages or currency. Use numerals if a number refers to a section, subdivision, or page. An exception is that you should not add these commas to numbers found in citations. Use the appropriate typographical entities. A hyphen is not the same as a minus sign, an en-dash, or an em-dash. Visually, they look like similar horizontal line segments, but they are used for different purposes. Sometimes, when the webmaster notices that a substitution for a hyphen is appropriate, he’ll make the switch during Coding, but it’s best if you use the appropriate marks in your comment. Used for compound words (mother-in-law) or hyphenation. Used to indicate negative numbers or the subtraction operation. The Bears beat the Bulls 99–97. The bill passed the Senate 98–0. Should not be used if the range has been introduced with “from” or “between”, e.g. She served on the board from 2014 to 2017. not She served on the board from 2014–2017. She advanced the doctoral students — 24 of them — to candidacy. After deliberating, they reached a verdict — guilty. Limit to two em-dashes per sentence to avoid confusion. Useful math, currency, keyboard, and other symbols can be copied from the list below. If the signal is on this list, there is no need to use the [SIGNAL] Coding Marker; the signal will be recognized during Coding. If the term is already on this list, there is no need to use the [LATIN] Coding Marker as it will be handled automatically during Coding. This includes commonly used terms like “id.”, “supra”, and “infra”. Do not abbreviate the month—spell it out. Months for citations will be abbreviated in Coding. Click here for information on dates as a part of a citation. Lists are coded in a particular way in HTML. There are three types of lists: ordered, unordered, and description lists. Ordered lists lead with numbers or letters in front: e.g. 1, 2, 3 or a, b, c.
Description lists—uncommon in comments—have a list of terms, where each term in the list is followed by a description of that term. They are often used to code glossaries. [LIST] (a) this is the first item, (b) this is the second item, and (c) this is the third item. Videos that are to be embedded in the comment must be hosted on an online service like YouTube or Vimeo. They are usually styled as Figures. If the video is meant to be embedded, provide the URL to the video and add a marker in the text where it should appear: [VIDEO] http://youtube.com/foobar For an example of a Coded Comment that includes an embedded video, see Christopher Werby & Olga Werby, Practical Strategies for ICC Outreach, n.40,	ICC Forum (Feb. 17, 2015), available online. The “Comment Body” section of these guidelines refers to items that are applicable to the main text of your comment and not to your comment’s Citations section. Use a mixed case headline style rather than all caps, all lowercase, or sentence style capitalization. Do not capitalize articles, conjunctions, or prepositions that are four or fewer letters, unless they begin the headline or immediately follow a colon. Headlines do not use terminal punctuation other than an optional question mark. Example: Hypothesis: The Existence of the ICC Protects National Courts from Political Interference not Hypothesis: the existence of the ICC protects national courts from political interference. If you choose to employ an outlining style in your comment — headlines are indented by varying amounts that correspond to the organization of sections of your comment — follow the specific order of outline markers set forth below. Do not use the automatic numbering feature in Word; rather manually type in the proper marker followed by a period. First level — uppercase roman numerals: I. II. III. Second level — uppercase latin letters: A. B. C.
Third level — arabic numerals: 1. 2. 3. Fourth level — lowercase roman numerals: i. ii. iii. Fifth level and beyond: not supported. In the comment body, block quotes, are used to set off long quotes by separating, indenting, and italicizing them. A long quote is one that’s longer than one sentence or about 20 words; shorter quotes generally remain inline with the rest of the text. Use the [BLOCKQUOTE] Coding Marker just before the quote to mark the beginning of the block quote. While quotation marks are removed from a block quote during Coding, keep them in your comment to indicate the beginning and end of the quote. Usually the location of the end of the quote is clear; but, if not, add an optional [ENDQUOTE] Coding Marker at the end. [T]the Prosecutor […] shall […] make a solemn undertaking in open court to exercise his or her respective functions impartially and conscientiously. Click the [BLOCKQUOTE] Coding Marker to see how it is used in citations. Tables are text or numbers in the form of columns; or they are a grid that has rows and columns with information or numbers. Tables are generally created in Word or Excel and embedded in the Word document. They are not images or screenshots; when coded in HTML, each grid cell is surrounded by code. Tables should be consecutively numbered; if both tables and figures are used, they can be numbered independently: a comment can have both a Table 1 and a Figure 1. Each Table should have a caption in the form: Table 1: Incarceration days served prior to commencement of trial. Note that the caption uses sentence case style, has terminal punctuation, and appears above the table. For an example of a Coded Comment with many tables, see Christopher Sanchez, The Al Mahdi Case Study: Establishing a Media Bias Baseline to Support Future Research Regarding how ICC’s Operations Affects Public Perception, Tables 1–15, ICC Forum (Aug. 19, 2017), available online. Figures are illustrations other than Tables — drawings; photos; videos; and graphs other than tables including bar charts, pie charts, and so on. If the Figure was not created in Word or in Excel, then a version of the image needs to be sent for Coding as a separate attachment. If the original creation file is available, send that native file as well. For example, if you created the Figure in Photoshop, send the layered original psd creation file in addition to the uncompressed jpg or png file generated from the creation file and intended for use as the Figure. If available, vector file formats (ai, eps, pdf, svg) are preferred over bitmap or raster file formats (jpg, png, gif, tiff). 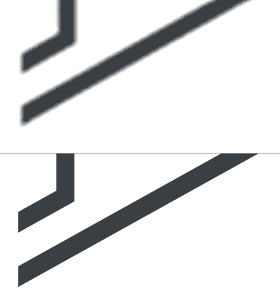 Bitmaps (top) degrade when enlarged, while vector formats remain sharp. Vector versions created in Adobe Illustrator (ai, eps) should be saved to be compatible with Illustrator CS6 or previous. Some images like photographs are always bitmaps, so no vector version will be available. Bitmap images should be in high resolution — a minimum of 1116 pixels wide and preferably more. Do not upsize a smaller version. Bitmap images should not have any lossy compression applied. Use the highest quality settings when exporting them. For questions on transmitting Figures for Coding, please contact admin@iccforum.com. Each Figure is consecutively numbered and requires a caption created in the style of a Table caption described above. Captions appear below the figure. Figure 1: Flyers were distributed calling for the arrest of members of the political opposition. This “Citations Generally” section of these guidelines — and the following section Parts of Citations — refer to items that are applicable to the citation section of your comment and not to the Comment Body (main text) section. Citations are footnotes created in your Microsoft Word document. Are you citing one of the following statutes or documents? Good news! You can use a shortcode followed by your pinpoint citation (pincite), if any, and the full citation will be Coded for you. For example, to cite to the Rome Statute, just use the phrase “Rome Statute” in your citation and the full citation will be added during Coding. Click any of the following shortcodes to see the full citation. These should appear after the citation and enclosed in parentheses. Concluding period appears outside the end parenthesis. Example: Rome Statute, supra note 6, at Article 45. [BLOCKQUOTE] (“[T]the Prosecutor [...] shall [...] make a solemn undertaking in open court to exercise his or her respective functions impartially and conscientiously.”). Rome Statute , supra note 6, at Art. 45. (“[T]the Prosecutor […] shall […] make a solemn undertaking in open court to exercise his or her respective functions impartially and conscientiously.”). See also how the [BLOCKQUOTE] Coding Marker is used in the main text of the comment. These appear after the citation and are enclosed in parentheses. The terminating punctuation (usually a period) usually appears outside the end parenthesis. If a single footnote contains multiple citations where each is followed by a remark, chain them. Each remark should follow the citation to which it refers. Example: Rome Statute, supra note 6, at Article 45. [REMARK] (The requirement of a solemn undertaking is similar to an oath to uphold a constitution or other founding document). (The requirement of a solemn undertaking is similar to an oath to uphold a constitution or other founding document). With few exceptions, all footnotes end with a period. Where there are multiple citations inside one footnote — i.e. a string cite — those are separated from each other by semicolons. Add the [BOOK] Coding Marker at the beginning of the citation to a book, after any optional signal. Books are formatted differently during Coding and the [BOOK] Coding Marker communicates to the webmaster that the citation is to a book. Do not include the publisher (and/or the publisher’s city) unless there’s the potential for ambiguity. Do include the edition if there’s more than one. When a book consists of a collection of articles, sometimes you need to refer to a single article and sometimes you need to refer to the entire collection of articles. If a link is available, then , available at followed by the URL. If a link is available, then , available at followed by the URL. If a link is not available, then add a [NOTFOUND] Coding Marker. Add the [REPORT] Coding Marker at the beginning of the citation, after any optional signal. Reports sometimes need a different Coding treatment and the Coding Marker communicates to the webmaster that the citation is to a report. The titles of reports are often rendered in small caps, like the title of a book. Exceptions are to ICC and UN Reports, whose titles are not formatted that way. The “Parts of Citations” section of these guidelines — and the previous section Citations Generally — refer to items that are applicable to the citation section of your comment and not to the Comment Body (main text) section. Names are always in first-name last-name order. When there are more than one author, the last author is separated with an ampersand rather than a comma. The others in a series are separated with a comma. So, for two authors: Alfred Baker & Amelia Bastion For more than two authors: Phuong Pham, Patrick Vinck, Eric Stover, Andrew Moss, Marieke Wierda & Richard Bailey The last example could also be Phuong Pham et al. not Phuong Pham, et al. — no comma after the author — but it’s usually better to list all the authors unless there are too many of them. In your comment, do not abbreviate institutions and publishers. Where appropriate, abbreviation happens in Coding. When an individual author is credited on behalf of an institution, use the individual author name, followed by the institution (abbreviated in Coding), prior to the title. The title of a source is not enclosed in quotation marks. In your comment, never make the titles all caps or small caps even for books. The appropriate font formatting is done during Coding. Titles should be in mixed case headline style. Do not capitalize articles, conjunctions, or prepositions that are four or fewer letters, unless they begin the headline or immediately follow a colon. Where the original title is not in headline case, you must use your judgment. Generally convert the title to headline case unless doing so will change the meaning of the title. As an exception to the above, if the title is to a main page title of a website, use the capitalization of the original source, unless it is all caps. For all citation types, do not abbreviate institutions and publishers. That happens in Coding. E.g. use Florida Journal of International Law not Fla. J. Int’l L.
No action is necessary on your part to facilitate the link to the publication’s home page in your citation. If the volume number is something like 23:4 or 23(4), skip the secondary part and just use “23”. Do not abbreviate it in your comment; if appropriate, it will be abbreviated during Coding. Dates are enclosed in parentheses. Do not abbreviate months; they will be abbreviated during Coding. Unless it would be confusing were it omitted, do not put an “at” before the page number; no at . Exceptions are that “at” precedes video time references, as discussed below, and “at” is used in id. and supra references, as discussed below. You can optionally use the following abbreviations. They will be replaced by the entities above during Coding: para. sect. paras. sects. The pincite for books, usually a page number, appears directly after the title with no preceding comma. When citing specifically material on the first page of a source, repeat that page after the citation. For a video, use a time indicator to cite to a particular moment: at 5:51 e.g. see citation. During Coding, references to articles or other parts of the Rome Statute or the Genocide Convention will be wrapped in code that reveals that part on hover, e.g. see citation. Do not abbreviate the date. It’s done in Coding. Spell out the full month — e.g. use September not Sept. nor Sep. In Coding, citation dates will be abbreviated to the first three characters of the month, followed by a period. “May” is an exception in that it is not abbreviated. These abbreviations only occur in citations. In the main body of your comment, months are always spelled out. A full date is written September 27, 2007 Note the comma after the day. Sometimes it can be difficult to tie down a date. If a source uses “last updated” then use that date and include a last visited segment to the citation. To determine the date that a PDF was created, load the PDF, right-click on the page, and select “Document Properties”. Then go to the “Description” tab and check the details in the displayed Created Date section. For ICC Forum Invited Expert comments, cite to the launch date for that issue. Click here for information on using dates in the main text of the comment. The term is always hereinafter not hereafter nor hereinafter cited as or something else. The hereinafter reference is enclosed in brackets, not parentheses. The reference after hereinafter — Rome Statute in the example above — can be a shortened version of the title. It is not enclosed in quotes. Pick a short phrase that clearly differentiate the title from other references that may be similar. Only use the full title if it’s short. Make an effort to preserve the intention of the full title. For an example, see the notes for this citation. The hereinafter reference appears after the citation date and before the ‘available at’ reference. If the hereinafter reference follows a closing parenthesis (often the date), omit a preceding comma. The ICC Forum is an online publication. Accordingly, online URLs to sources are very important. You must research your sources and try to find available versions accessible with a URL. Do research to find the best version you can. Google is your friend in this endeavor. Generally, a PDF is preferred over a webpage text source. But not always. For example, the web version of the Rome Statute on the ICC Forum is better than available PDF versions. So if you are trying to select between two versions of the same source, use your judgment as to which is a better resource for your reader. If you can’t locate an online version of the source after a diligent source, you may omit it. But put a [NOTFOUND] Coding Marker where the URL would go to indicate that the omission is not an oversight. Be careful when copying the URL to get all of it. Use the shortest version of the URL that still works. This requires some experimentation; often there are extra characters at the end of the URL that can be trimmed away. If there’s a question mark in the URL and then a string of characters afterwards, try copying just up to but not including the question mark and paste that into a separate window in your browser. If you get to the same source, use the shortened version. But be sure to check that the URL still works before using it in your citation. Beyond trying to shortening it by removing extra characters from the end, never change a URL in any other way. Do not correct misspellings or capitalization within a URL; changing it often breaks it. URLs are placed in the citation after the date and the optional hereinafter reference. During Coding, URLs will wrap a clickable word — usually online or paywall — the whole URL isn’t displayed but can be reached with a click. During Coding, URLs often are decorated with graphical flags that indicate that the link is an external link, a PDF, or a DOC file. URLs can be archived. This is an optional step but it helps combat the web scourge of “link rot” where, over time, URLs can no longer be reached. Create the archived version by using the webcitation.org service. Here is the form that needs to be filled out for each source. No login is required, but you do need to use your email address. The URL to the archived version will be sent to you via email almost immediately after you submit the form. Carefully fill out the fields on the form. If you write the citation first before archiving the source, you’ll have the information you need to cut and paste — with some massaging; the form wants last-name, first-name order, for example — into the fields. When you get the webcitation URL, check it to make sure that the source was properly archived. A digital object identifer (DOI) is another link sometimes available for a citation reference to a resource available on the web. This is another optional step that helps combat the web scourge of “link rot” where, over time, URLs can no longer be reached. DOI links are supposed to be more persistent. Many references won’t have a DOI. For those, you can ignore this. But when you see a DOI link (most commonly in periodicals), copy it and paste it at the end of your list of URLs. Preface the link with “doi at”. Separate it from the previous URL with a comma. This is how you might add the DOI link to your citation: , available at http://foobar.com/document.pdf, doi at https://doi.org/10.7916/D85T3JVT. Since the underlying referenced page may change, there is no need to use the [PDF] Coding Marker with DOI links. URLs sometimes need format clarification. Format clarification is necessary when an examination of the URL itself doesn’t reveal the format of the file reached by the link. In the final comment, the format is indicated with small graphical flags after the URL: external link, a PDF, or a DOC file. webcitation.org links often need the [PDF] Coding Marker because they don’t have a “.pdf” extension. Last visited is only used when the citation has no date. For example, a citation to the home page of a website would need a last visited date. The last visited date is wrapped in parentheses. It appears after the available online URLs and is not preceded by a comma. The phrase is last visited not last accessed last reviewed last viewed and so on. E.g., available at http://foobar.com (last visited August 2, 2017). Can only be used if the reference (or a previous use of id. or supra) is immediately above. It must be unambiguous. For example, if the reference immediately above cites several sources — a string cite — then id. is unclear as to which it refers. In that case, use supra instead. During Coding, id. will be wrapped in a definition tag, italicized, and then further wrapped in an anchor link to the original source. Form: Porter, supra note 5, at 35. or Rome Statute, supra note 6, at Art. 5. Use for a previous reference that is not immediately above or where id. would be ambiguous. Generally precede supra with the last name of the author. Polkinghorne, supra note 38, at 142. Polkinghorne & Cody, supra note 38, at 142. If there are three or more authors, use the last name of the first author followed by et al. Polkinghorne et al., supra note 38, at 142. If no author is available, then use the title. If the title is long, then create and use a hereinafter reference with a shortened version of the title in the first citation to the source. Rome Statute, supra note 6, at Preamble. Victims' Guide, supra note 10. They are not necessary if the original citation had a pincite and this use refers to the same page or section. They are not necessary if the citation is to the entire source generally. Pincites in supra citations are preceded by a comma, the word “at” and a space. This section is only of interest to ICC Forum Associate Editors who are tasked with doing research for the Forum’s main issues, each of which has a page of Background Materials which can be found from a link at the top of every page. Creating a reference for an item destined for the Background Materials page is similar to creating a Coded Comment citation in most respects, other than a few differences noted here. Additionally, most background citations are followed by commentary. Use webcitation.org to create an archive version for each online citation. You need to create archived versions of citations for background materials. This differs from footnote citations where archiving sources is optional. Citations should be followed by commentary which describe the main points made by the citation in the context of the ICC Forum question. Commentary to citations in Background materials are added as if they were remarks in footnotes, except they aren't wrapped in parentheses. Use the [REMARK] Coding Marker. e.g. — [REMARK] This article surveys the historical development of international criminal law. Dates are not wrapped in parentheses. Sometimes it can be tricky to determine if a source is a news source. Generally, if the source is from an NGO or an advocacy group, it is not a news source. Andrew E. Kramer, In Russia, Exile in Comfort for Leaders Like Assad, New York Times, December 28, 2012, available at http://www.nytimes.com/2012/12/29/world/europe/in-barvikha-russia-leaders-like-assad-find-haven.html. Andrew E. Kramer, In Russia, Exile in Comfort for Leaders Like Assad, N.Y. Times, Dec. 28, 2012, available online. [REMARK] can be written inline and will be formatted properly in Coding. As a proper name, Médecins Sans Frontières should include its proper diacritical marks. Note that the abbreviation “DRC” is wrapped with a definition during Coding. Phil Coomes, Into the Bush: Vaccinating a Remote Community, BBC News, November 17, 2014, available at http://www.bbc.com/news/in-pictures-30035323. [REMARK] (Contains an article and imagery of a photojournalist as he accompanies a Médecins Sans Frontières vaccination team into a hard-to-reach rural area of the DRC). Phil Coomes, Into the Bush: Vaccinating a Remote Community, BBC News, Nov. 17, 2014, available online. (Contains an article and imagery of a photojournalist as he accompanies a Médecins Sans Frontières vaccination team into a hard-to-reach rural area of the DRC). The title in the original was converted to headline case from sentence case. The original title is: “Kenya ICC witness killing haunts Eldoret family”. See, e.g., Emmanuel Igunza, Kenya ICC Witness Killing Haunts Eldoret Family, BBC News, January 9, 2015, available at http://www.bbc.com/news/world-africa-30716696. [REMARK] (On the killing of a witness under the ICC’s witness protection program). See, e.g., Emmanuel Igunza, Kenya ICC Witness Killing Haunts Eldoret Family, BBC News, Jan. 9, 2015, available online. (On the killing of a witness under the ICC’s witness protection program). Normally, a headline does not have quote marks around it. But here, it is an actual quote. Normally, a headline originally in sentence case would be converted to mixed case in headline style. But here, that would be inappropriate since it is an actual quote. So it is not converted. Simon Allison, ‘The Gambia coup didn’t just fail, it backfired’, Daily Maverick, January 7, 2015, available at https://www.theguardian.com/world/2015/jan/07/gambia-failed-coup-encourage-president-jammeh. Simon Allison, ‘The Gambia coup didn’t just fail, it backfired’, Daily Maverick, Jan. 7, 2015, available online. Jane Onyanga-Omara, Gambia Latest African Nation to Withdraw from International Criminal Court, USA Today, October 26, 2016, available at http://www.usatoday.com/story/news/world/foobar. [BLOCKQUOTE] (“Gambia’s withdrawal was the third country to pull out in two weeks, after Burundi and South Africa.”). Jane Onyanga-Omara, Gambia Latest African Nation to Withdraw from International Criminal Court, USA Today, Oct. 26, 2016, available online. (“Gambia’s withdrawal was the third country to pull out in two weeks, after Burundi and South Africa.”). Sudan Says Decision to Expel Aid Groups is Irrevocable, Sudan Tribune, March 8, 2009, available at http://www.sudantribune.com/spip.php?article30414. Sudan Says Decision to Expel Aid Groups is Irrevocable, Sudan Tribune, Mar. 8, 2009, available online. See Dutch Arms Trafficker to Liberia Given War Crimes Conviction, The Guardian, April 22, 2017, available at https://www.theguardian.com/law/2017/apr/22/dutch-arms-trafficker-to-liberia-guus-kouwenhoven-given-war-crimes-conviction. See Dutch Arms Trafficker to Liberia Given War Crimes Conviction, The Guardian, Apr. 22, 2017, available online. Cite to AFP — a news agency — even though URL is to the publication that ran the story. Hereinafter uses a short form of the title. ICC Prosecutors Accuse DR Congo Rebel of Witness Tampering, AFP, November 11, 2016, [hereinafter DRC Tampering], available at http://pulse.com.gh/news/bosco-ntaganda-trial-icc-prosecutors-accuse-dr-congo-rebel-of-witness-tampering-id5745263.html. ICC Prosecutors Accuse DR Congo Rebel of Witness Tampering, AFP, Nov. 11, 2016, [hereinafter DRC Tampering], available online. See Marko Milanović, The Impact of the ICTY on the Former Yugoslavia: An Anticipatory Postmortem, 110 American Journal of International Law 233 (2016), available at http://eprints.nottingham.ac.uk/37359/1/amerjintelaw.110.2.0233.pdf. See Marko Milanović, The Impact of the ICTY on the Former Yugoslavia: An Anticipatory Postmortem, 110 Am. J. Int’l L. 233 (2016), available online. Alex Whiting is an ICC Forum invited expert, so his name is linked to his site profile. Pincite to a range of pages is Coded with an en dash. Pincite to the second number of a range preserves the last two digits, e.g. 331–33. Since URL ends in “.pdf”, no need for a [PDF] Coding Marker. Alex Whiting, In International Criminal Prosecutions, Justice Delayed Can Be Justice Delivered, 50 Harvard International Law Journal 323, 331–33 (June 2009), available at http://www.harvardilj.org/wp-content/uploads/2010/09/HILJ_50-2_Whiting.pdf. Alex Whiting, In International Criminal Prosecutions, Justice Delayed Can Be Justice Delivered, 50 Harv. Int’l L.J. 323, 331–33 (Jun. 2009), available online. Only an early version of the paper was found. This shows how it is cited. Carsten Stahn is an ICC Forum invited expert, so his name is wrapped with a link to his profile. Archive link to webcitation.org is for a PDF. [PDF] Coding Marker is used. Even though the title ends in a question mark, a comma is added after the title. Carsten Stahn, Between ‘Faith’ and ‘Facts’: By What Standards Should We Assess International Criminal Justice?, 25 Leiden J. Int’l L. 251 (2012), earlier version (Oct. 31, 2011), available online, archived. See also Luke Moffett, Meaningful and Effective? Considering Victims’ Interests Through Participation at the International Criminal Court, 26 Criminal Law Forum 255 (June 2015), available at https://link.springer.com/article/10.1007%2Fs10609-015-9256-1 [PAYWALL], earlier version available at http://pure.qub.ac.uk/portal/files/15375987/foobar.pdf. See also Luke Moffett, Meaningful and Effective? Considering Victims’ Interests Through Participation at the International Criminal Court, 26 Crim. L. Forum 255 (Jun. 2015), SpringerLink paywall, earlier version online. Sometimes, research reveals an earlier version of a cited paper. This shows how both can be referenced in a citation. The webcitation.org archive is to a PDF format document; because the URL doesn’t end in “.pdf”, use the [PDF] Coding Marker. See Tom Buitelaar, The ICC and the Prevention of Atrocities: Criminological Perspectives, 17 Human Rights Review 286 (2016), available at https://link.springer.com/article/10.1007/s12142-016-0414-6 [PAYWALL]. Earlier version: The Hague Institute for Global Justice, Working Paper 8 (April 2015), available at http://www.thehagueinstituteforglobaljustice.org/wp-content/uploads/2015/10/The_ICC_and_The_Prevention_of_Atrocities.pdf, archived at http://www.webcitation.org/6rRecePxw [PDF]. See Tom Buitelaar, The ICC and the Prevention of Atrocities: Criminological Perspectives, 17 Hum. Rts. Rev. 286 (2016), SpringerLink paywall. Earlier version: The Hague Institute for Global Justice, Working Paper 8 (Apr. 2015), available online, archived. the remark below is not enclosed in parentheses, although blockquotes will be. As Dapo Akande is an ICC Forum invited expert, his name is linked to his ICC Forum profile page. Dapo Akande, The Jurisdiction of the International Criminal Court over Nationals of Non-Parties: Legal Basis and Limits, 1 Journal of International Criminal Justice 618 (December 1, 2003), available at https://academic.oup.com/jicj/article-abstract/1/3/618/2188874/The-Jurisdiction-of-the-International-Criminal [PAYWALL], doi at https://doi.org/10.1093/jicj/1.3.618. [REMARK] Discusses how the ICC needs State acceptance in order for the ICC to have jurisdiction over the State; it cannot impose or create duties among these states. He also gives a variety of examples on how this is applied and how the ICC deals with official acts of non-state parties and their immunities. Dapo Akande, The Jurisdiction of the International Criminal Court over Nationals of Non-Parties: Legal Basis and Limits, 1 J. Int’l Crim. Just. 618 (Dec. 1, 2003). Oxford Academic paywall, doi. Discusses how the ICC needs State acceptance in order for the ICC to have jurisdiction over the State; it cannot impose or create duties among these states. He also gives a variety of examples on how this is applied and how the ICC deals with official acts of non-state parties and their immunities. 618 (<span class="date">Dec. 1, 2003</span>)</span>. deals with official acts of non-state parties and their immunities. Elizabeth Peet, Why is the International Criminal Court so Bad at Prosecuting War Criminals?, The Wilson Quarterly (June 15, 2015), available at http://wilsonquarterly.com/stories/why-is-the-international-criminal-court-so-bad-at-prosecuting-war-criminals/. Elizabeth Peet, Why is the International Criminal Court so Bad at Prosecuting War Criminals?, Wilson Q. (Jun. 15, 2015), available online. See Mélanie Vianney-Liaud, Emerging Voices: Victim Participation in ICC and ECCC’s Proceedings, Opinio Juris (August 20, 2015), available at http://opiniojuris.org/2015/08/20/emerging-voices-victim-participation-in-icc-and-ecccs-proceedings/. See Mélanie Vianney-Liaud, Emerging Voices: Victim Participation in ICC and ECCC’s Proceedings, Opinio Juris (Aug. 20, 2015), available online. See, e.g., Sam Frizell, What Leaked Emails Reveal About Hillary Clinton’s Campaign, Time Magazine, October 7, 2016, available at http://time.com/4523749/hillary-clinton-wikileaks-leaked-emails-john-podesta/. See, e.g., Sam Frizell, What Leaked Emails Reveal About Hillary Clinton’s Campaign, Time Magazine, Oct. 7, 2016, available online. [SIGNAL] See inter alia, Daniel Donovan, International Criminal Court: Successes and Failures, International Policy Digest (March 23, 2012), available at https://intpolicydigest.org/2012/03/23/international-criminal-court-successes-and-failures/. See inter alia, Daniel Donovan, International Criminal Court: Successes and Failures, Int’l Pol’y Dig. (Mar. 23, 2012), available online. A report should be preceded with the [REPORT] Coding Marker. Two authors are separated by an ampersand. The version “Discussion Draft Version” appears after the publishing organization when it is relevant. When the URL is a PDF format file but the extension of the URL is not “.pdf”, add the [PDF] Coding Marker. For clarity, the pincite is preceded by “at” when it follows a number. [REPORT] Dan H. Hall & Ingo Keilitz, Global Measures of Court Performance, International Framework for Court Excellence, Discussion Draft Version 3, at 4 (November 9, 2012), available at http://www.courtexcellence.com/~/media/microsites/files/icce/global%20measures_v3_11_2012.ashx [PDF]. Dan H. Hall & Ingo Keilitz, Global Measures of Court Performance, International Framework for Court Excellence, Discussion Draft Version 3, at 4 (Nov. 9, 2012), available online. When an individual author is credited on behalf of an institution, use the individual author’s name followed by the institution prior to the title. The institution name will be abbreviated in Coding if it does not begin the citation. With multiple authors, the last one is preceded by an ampersand instead of a comma. [REPORT] Stephen Smith Cody, Eric Stover, Mychelle Balthazard & K. Alexa Koenig, UC Berkeley Human Rights Center, The Victims’ Court? : A Study of 622 Victim Participants at the International Criminal Court (2015), available at https://www.law.berkeley.edu/wp-content/uploads/2015/04/VP_report_2015_final_full2.pdf. Stephen Smith Cody, Eric Stover, Mychelle Balthazard & K. Alexa Koenig, UC Berkeley HRC, The Victims’ Court? : A Study of 622 Victim Participants at the International Criminal Court (2015), available online. See Human Rights Watch, ICC: Kenya Deputy President’s Case Ends (April 5, 2016), available at https://www.hrw.org/news/2016/04/05/icc-kenya-deputy-presidents-case-ends. See Human Rights Watch, ICC: Kenya Deputy President’s Case Ends (Apr. 5, 2016), available online. Check the paper carefully. If authors are listed—and sometimes they are in a footnote or acknowledgement section—use them in preference to an institutional author. Reports are Coded much like a book. The archive link is to a pdf file; because the extension is not .pdf, use the [PDF] Coding Marker. Institutional author is not abbreviated. Because this is for Background materials, the comment is not enclosed in parentheses. Because this is for Background materials, the URLs are formatted slightly differently, although they are written identically to comment citations. [REPORT] Open Society Justice Initiative, Briefing Paper: Establishing Performance Indicators for the International Criminal Court (November 2015), available at https://www.opensocietyfoundations.org/sites/default/files/briefing-icc-perforamnce-indicators-20151208.pdf, archived at http://www.webcitation.org/6rRe0Bkir [PDF]. [REMARK] Admits the benefit of having performance indicator but argues that the indicators must provide a comprehensive view on ICC’s performance rather than ending up providing a list of data; also argues that it be set-up by the ICC itself after hearing voices outside the court. Open Society Justice Initiative, Briefing Paper: Establishing Performance Indicators for the International Criminal Court (Nov. 2015). Available online, archived. Admits the benefit of having performance indicator but argues that the indicators must provide a comprehensive view on ICC’s performance rather than ending up providing a list of data; also argues that it be set-up by the ICC itself after hearing voices outside the court. itself after hearing voices outside the court. [REPORT] American Bar Association, Perceptions of the U.S. Justice System 11 (1999), available at https://www.americanbar.org/content/foobar/authcheckdam.pdf. American Bar Association, Perceptions of the U.S. Justice System 11 (1999), available online. Use the [BOOK] Coding Marker before a citation to a book. Pincite follows the title without preceding comma. No publisher information is necessary unless it would be ambiguous without it. The edition is not necessary if this is the first edition. Use the [NOTFOUND] Coding Marker if an online version of the source cannot be found. David Bosco, Rough Justice: The International Criminal Court in a World of Power Politics 3 (2014). See generally Richard A. Wilson, Writing History in International Trials (May 2011). Note that the pincite to page 1259 comes immediately after the title and is not preceded by a comma. The author of the book is an ICC Forum invited expert, so his name is wrapped in a link to his profile page. The [NOTFOUND] Code Marker is used to communicate that a link was researched but not found. Elizabeth Evenson & Alison Smith, Completion, Legacy and Complementarity at the ICC, in The Law and Practice of the International Criminal Court 1259 (Carsten Stahn ed., 2015). Christine Schwöbel, The Market and Marketing Culture of International Criminal Law, in Critical Approaches to International Criminal Law—An Introduction 264 (Christine Schwöbel ed., 2014). [BOOK] Coding Marker should be added. Last author in a series separated with ampersand. Recognized signal is italicized during Coding. Note that the pincite to page 6 comes immediately after the title and is not preceded by a comma. See [BOOK] Chiyuki Aoi, Cedric de Coning & Ramesh Thakur, Eds., Unintended Consequences of Peacekeeping Operations 6 (2007), available at https://collections.unu.edu/eserv/UNU:2483/pdf9789280811421.pdf. See Chiyuki Aoi, Cedric de Coning & Ramesh Thakur, Eds., Unintended Consequences of Peacekeeping Operations 6 (2007), available online. Christian De Vos and Carsten Stahn are ICC Forum invited experts, so their names are wrapped with links to their profiles. “hereinafter” references come after the date and before the link to the available URL. [BOOK] Christian De Vos, Sara Kendall & Carsten Stahn, Eds., Contested Justice: The Politics and Practices of International Criminal Court Interventions (2015) [hereinafter Contested Justice], available at https://kar.kent.ac.uk/53524/1/Contested%20Justice%20SK%20PDF.pdf. Christian De Vos, Sara Kendall & Carsten Stahn, Eds., Contested Justice: The Politics and Practices of International Criminal Court Interventions (2015) [hereinafter Contested Justice], available online. Last Visited reference not necessary for dated source. Michael Broache, Beyond Deterrence: The ICC Effect in the OTP, openDemocracy (February 19, 2015), available at http://www.opendemocracy.net/openglobalrights/michael-broache/beyond-deterrence-icc-effect-in-drc. Michael Broache, Beyond Deterrence: The ICC Effect in the OTP, openDemocracy (Feb. 19, 2015), available online. Frank Newport, Presidential Election 2016: Key Indicators, Gallup, available at http://www.gallup.com/poll/189299/presidential-election-2016-key-indicators.aspx (last visited July 3, 2017). Frank Newport, Presidential Election 2016: Key Indicators, Gallup, available online (last visited Jul. 3, 2017). (last visited Jul. 3, 2017)</span>. Last visited is required for a web page with no date. Victims, International Criminal Court, [hereinafter Victims], available at https://www.icc-cpi.int/about/victims (last visited Jul. 1, 2017). Victims, ICC, [hereinafter Victims], available online (last visited July 1, 2017). (last visited July 1, 2017). Resource Center on Complementarity Monitoring, International Nuremberg Principles Academy, available at https://www.nurembergacademy.org/projects/detail/resource-center-on-complementarity-monitoring-13/ (last visited June 25, 2017). Resource Center on Complementarity Monitoring, Int’l Nuremberg Principles Acad., available online (last visited Jun. 25, 2017). (last visited Jun. 25, 2017)</span>. About, Transitional Justice Research Collaborative, available at http://transitionaljusticedata.com/about (last visited December 6, 2016). About, Transitional Just. Research Collaborative, available online (last visited Dec. 6, 2016). (last visited Dec. 6, 2016)</span>. Coalition for the International Criminal Court, available at http://www.coalitionfortheicc.org/ (last visited Dec. 12, 2016). Coalition for the International Criminal Court, available online (last visited Dec. 12, 2016). (last visited Dec. 12, 2016)</span>. Data Collection Strategies II: Qualitative Research, California State University Long Beach, available at https://web.csulb.edu/~msaintg/ppa696/696quali.htm (last visited Jul. 1, 2017). Data Collection Strategies II: Qualitative Research, Cal. St. U. Long Beach, available online (last visited Jul. 1, 2017). (last visited Jul. 1, 2017)</span>. Hereinafter uses a short form of the long title; the question mark following the short title helps preserve the intention of the full title. Even though the title ends in a question mark, the title is followed by a comma. Omit a preceding comma when hereinafter brackets follow a closing parenthesis. Is Enough Being Done to Protect ICC Witnesses?, Global Justice (May 18, 2015) [hereinafter Enough Being Done? ], available at https://ciccglobaljustice.wordpress.com/2015/05/18/is-enough-being-done-to-protect-icc-witnesses/. Is Enough Being Done to Protect ICC Witnesses?, Global Just. (May 18, 2015) [hereinafter Enough Being Done? ], available online. International Criminal Court, Encyclopædia Britannica, available at https://www.britannica.com/topic/International-Criminal-Court (last visited Dec. 13, 2016). International Criminal Court, Encyclo. Britannica, available online (last visited Dec. 13, 2016). (last visited Dec. 13, 2016)</span>. In this example, “Avi Rubin” is part of the title and the author is “TED-Ed”. TED-Ed, All your devices can be hacked—Avi Rubin, YouTube (June 12, 2013), available at https://www.youtube.com/watch?v=BHHCvcCUOWU. TED-Ed, All your devices can be hacked—Avi Rubin, YouTube (Jun. 12, 2013), available online. Benjy Steinberg, The Prosecutor and the Paramount Chief, Vimeo, at 5:51 (March 26, 2015), available at https://vimeo.com/123370449/bd99df4c6a. Benjy Steinberg, The Prosecutor and the Paramount Chief, Vimeo, at 5:51 (Mar. 26, 2015), available online. Press Conference, Michael Masutha, South African Minister of Justice and Correctional Services, Briefing on South Africa’s Withdrawal from the ICC, YouTube (October 21, 2016), available at https://www.youtube.com/watch?v=x4OhqA6SaZw. Press Conference, Michael Masutha, South African Minister of Justice and Correctional Services, Briefing on South Africa’s Withdrawal from the ICC, YouTube (Oct. 21, 2016), available online. Special shortcodes can be used for some treaties, including the Rome Statute and the Genocide Convention. See Shortcode and the list below. A citation to Rome Statute is expanded to a full citation during Coding. Cites to articles are wrapped with special hover boxes that display the text of the article. Rome Statute of the International Criminal Court, Adopted by the United Nations Diplomatic Conference of Plenipotentiaries on the Establishment of an International Criminal Court, Jul. 17, 1998, UN Doc. A/CONF.183/9 [hereinafter Rome Statute ], Art. 71, available online. A citation to Genocide Convention is expanded to a full citation during Coding. Convention on the Prevention and Punishment of the Crime of Genocide, art. II, Dec. 9 1948, S. Exec. Doc. O, 81-1 (1949), 78 U.N.T.S. 277 [hereinafter Genocide Convention ], available online. A citation to Vienna Convention is expanded to a full citation during Coding. Vienna Convention on the Law of Treaties, Art. 31. Vienna Convention on the Law of Treaties, art. 31, May 23, 1969, 1155 U.N.T.S. 331, available online. If a single footnote contains multiple citations where each is followed by a remark, chain them. Each remark should follow the citation to which it refers. As Kamari Clarke is an ICC Forum invited expert, her name is linked to her ICC Forum profile page. Protocol on Amendments to the Protocol on the Statute of the African Court of Justice and Human Rights, Article 16 (2014) [hereinafter Malabo Protocol], available at https://au.int/foobar/human_rights_e.pdf. [REMARK] (The African Union Assembly adopted an amendment protocol on June 27, 2014 to forge ahead with the establishment of an international criminal section in the proposed African Court of Justice and Human and People’s Rights). See also [BOOK] Abel S. Knottnerus & Eefje de Volder, International Criminal Justice and the Early Formation of an African Criminal Court, in Africa and the ICC: Perceptions of Justice 376, 378–83 (Kamari M. Clarke, Abel S. Knottnerus & Eefje de Volder eds., 2016), available at https://www.cambridge.org/core/books/foobar/B5108778417 [PAYWALL]. [REMARK] (Discusses the background and implications of the creation of the Malabo Protocol). Protocol on Amendments to the Protocol on the Statute of the African Court of Justice and Human Rights, Article 16 (2014) [hereinafter Malabo Protocol], available online. (The African Union Assembly adopted an amendment protocol on June 27, 2014 to forge ahead with the establishment of an international criminal section in the proposed African Court of Justice and Human and People’s Rights). See also Abel S. Knottnerus & Eefje de Volder, International Criminal Justice and the Early Formation of an African Criminal Court, in Africa and the ICC: Perceptions of Justice 376, 378–83 (Kamari M. Clarke, Abel S. Knottnerus & Eefje de Volder eds., 2016), paywall. (Discusses the background and implications of the creation of the Malabo Protocol). (The African Union Assembly adopted an amendment protocol on June 27, 2014 to forge ahead with the establishment of an international criminal section in the proposed African Court of Justice and Human and People&rsquo;s Rights). The titles of ICC reports are not rendered in small caps. For ICC cases, just before the date, indicate the chamber — Pre-Trial Chamber, Trial Chamber, Appeals Chamber — together with the roman numeral of the chamber. European date forms, where the day precedes the month, are permitted in titles that use them. The title is the case heading, not the long description of the document. Citation to the Case Number immediately follows the title. The case name is changed to title case except for the quoted part; in this case, it was already in headline case, but it should be left as quoted. It is “The Prosecutor”, not “Prosecutor” in the case title. The Prosecutor v. Bosco Ntaganda, Case No. ICC-01/04–02/06, Joint Submissions in Accordance with the “Order Scheduling a Status Conference and Setting a Provisional Agenda” Issued on 21 July 2014 (Trial Chamber VI, August 14, 2014) (emphasis added) [hereinafter Joint Submissions], available at https://www.icc-cpi.int/CourtRecords/CR2014_07077.PDF. The Prosecutor v. Bosco Ntaganda , ICC-01/04–02/06, Joint Submissions in Accordance with the “Order Scheduling a Status Conference and Setting a Provisional Agenda” Issued on 21 July 2014 (TC VI, Aug. 14, 2014) (emphasis added) [hereinafter Joint Submissions], available online. Cite tags will be wrapped around the case title during Coding. The Prosecutor v. Saif Al-Islam Gaddafi and Abdullah Al-Senussi, ICC-01/11–01/11 OA 6, Judgment on the appeal of Mr. Abdullah Al-Senussi against the decision of Pre-Trial Chamber I of 11 October 2013 entitled “Decision on the admissibility of the case against Abdullah Al-Senussi,” para. 94 (Appeals Chamber, July 24, 2014), available at https://www.icc-cpi.int/CourtRecords/CR2014_06755.PDF. The Prosecutor v. Saif Al-Islam Gaddafi and Abdullah Al-Senussi , ICC-01/11–01/11 OA 6, Judgment on the appeal of Mr. Abdullah Al-Senussi against the decision of Pre-Trial Chamber I of 11 October 2013 entitled “Decision on the admissibility of the case against Abdullah Al-Senussi,” ¶ 94 (AC, Jul. 24, 2014), available online. International Criminal Court, Case Information Sheet: The Prosecutor v. Dominic Ongwen, ICC-02/04-01/15 (January 2017), available at https://www.icc-cpi.int/uganda/ongwen/Documents/OngwenEng.pdf (last visited July 15, 2017). International Criminal Court, Case Information Sheet: The Prosecutor v. Dominic Ongwen , ICC-02/04-01/15 (Jan. 2017), available online (last visited Jul. 15, 2017). (last visited Jul. 15, 2017)</span>. International Criminal Court, Case Information Sheet: The Prosecutor v. Laurent Gbagbo and Charles Blé Goudé, ICC-02/11-01/15 (January 2016), available at https://www.icc-cpi.int/cdi/gbagbo-goude/Documents/LaurentGbagboandBleGoudeEng.pdf (last visited July 15, 2017). International Criminal Court, Case Information Sheet: The Prosecutor v. Laurent Gbagbo and Charles Blé Goudé , ICC-02/11-01/15 (Jan. 2016), available online (last visited Jul. 15, 2017). International Criminal Court, Second Court’s Report on the Development of Performance Indicators for the International Criminal Court (November 11, 2016) [hereinafter Second Report], available at https://www.icc-cpi.int/itemsDocuments/ICC-Second-Court_report-on-indicators.pdf. International Criminal Court, Second Court’s Report on the Development of Performance Indicators for the International Criminal Court (Nov. 11, 2016) [hereinafter Second Report], available online. ICC Reports do not render the title in small caps. Office of the Prosecutor, International Criminal Court, Report on Preliminary Examination Activities 2016 (November 14, 2016), available at https://www.icc-cpi.int/iccdocs/otp/161114-otp-rep-PE_ENG.pdf. Office of the Prosecutor, ICC, Report on Preliminary Examination Activities 2016 (Nov. 14, 2016), available online. See, e.g., Assembly of States Parties, Report of the Court on Cooperation, ICC-ASP/15/9 (October 11, 2016), available at https://asp.icc-cpi.int/iccdocs/asp_docs/ASP15/ICC-ASP-15-9-ENG.pdf. See, e.g., Assembly of States Parties, Report of the Court on Cooperation, ICC-ASP/15/9 (Oct. 11, 2016), available online. The source uses paragraph numbers, so the pincite is to that. A space follows the ¶ marker; the symbol ¶ will be substituted for the word “para.” in a citation. Assembly of States Parties, Strengthening the International Criminal Court and the Assembly of States Parties, ICC-ASP/13/Res.5, at Annex I, para. 7(b) (December 17, 2014), available at https://asp.icc-cpi.int/iccdocs/asp_docs/Resolutions/ASP13/ICC-ASP-13-Res5-ENG.pdf. Assembly of States Parties, Strengthening the International Criminal Court and the Assembly of States Parties, ICC-ASP/13/Res.5, at Annex I, ¶ 7(b) (Dec. 17, 2014), available online. Assembly of States Parties, ICC, Resolution of the Assembly of States Parties on the Proposed Programme Budget for 2018, the Working Capital Fund for 2018, the Scale of Assessment for the Appointment of Expenses of the International Criminal Court, Financing Appropriations for 2018 and the Contingency Fund, ICC-ASP/16/Res.1 (December 14, 2017), available at https://asp.icc-cpi.int/iccdocs/asp_docs/Resolutions/ASP16/ICC-ASP-16-Res1-ENG.pdf. Assembly of States Parties, ICC, Resolution of the Assembly of States Parties on the Proposed Programme Budget for 2018, the Working Capital Fund for 2018, the Scale of Assessment for the Appointment of Expenses of the International Criminal Court, Financing Appropriations for 2018 and the Contingency Fund, ICC-ASP/16/Res.1 (Dec. 14, 2017), available online. The author is the Office of the Prosecutor. Since the URL ends with “.pdf”, no [PDF] Coding Marker is necessary. Office of the Prosecutor, International Criminal Court, Policy Paper on Preliminary Examinations (November 2013), available at https://www.icc-cpi.int/iccdocs/otp/OTP-Policy_Paper_Preliminary_Examinations_2013-ENG.pdf. Office of the Prosecutor, ICC, Policy Paper on Preliminary Examinations (Nov. 2013), available online. A citation to 2013 RPE is expanded to a full citation during Coding. International Criminal Court, Rules of Procedure and Evidence, ICC-ASP/1/3, R. 48 (2013), available online, archived. When an individual author is credited on behalf of an institution, use the individual author’s name followed by — in this case — the conference, prior to the title. This is an ICC document that came from a particular conference: conference listed first followed by ICC document reference. Pincite has the “at” prepended to avoid confusion with the numbers that precede it. Recognized signal “See e.g.,” is italicized during Coding. See e.g., David Tolbert, Stocktaking: Peace and Justice, Review Conference of the Rome Statute, ICC Doc. RC/ST/PJ/M.6, at 8 (June 1, 2010), available at ttps://asp.icc-cpi.int/iccdocs/asp_docs/RC2010/Stocktaking/RC-ST-PJ-M.6-ENG.pdf. See e.g., David Tolbert, Stocktaking: Peace and Justice, Review Conference of the Rome Statute , ICC Doc. RC/ST/PJ/M.6, at 8 (Jun. 1, 2010), available online. Press Release, ICC, ICC Pre-Trial Chamber I Decides that the Al-Senussi Case is to Proceed in Libya and is Inadmissible Before the ICC (October 11, 2013), available at https://www.icc-cpi.int/Pages/item.aspx?name=pr953. Press Release, ICC, ICC Pre-Trial Chamber I Decides that the Al-Senussi Case is to Proceed in Libya and is Inadmissible Before the ICC (Oct. 11, 2013), available online. For a statement, the author’s position follows their name. Fatou Bensouda, ICC, Statement on the Referral Submitted by Palestine (May 22, 2018), available at https://www.icc-cpi.int/Pages/item.aspx?name=180522-otp-stat. Fatou Bensouda, ICC Prosecutor, Statement on the Referral Submitted by Palestine (May 22, 2018), available online. An exception to the normal rule of converting titles to mixed case for headline style is when the title refers to the main page of a website, as this one does. In this case, leave the title in the original source’s case. See Situations under investigation, International Criminal Court, available at https://www.icc-cpi.int/pages/situations.aspx (last visited November 15, 2016). [REMARK] (The only non-African country that the ICC is currently investigating is Georgia). See Situations under investigation, ICC, available online (last visited Nov. 15, 2016). (The only non-African country that the ICC is currently investigating is Georgia). (last visited Nov. 15, 2016)</span>. is currently investigating is Georgia). The titles of UN reports are not rendered in small caps. A citation to 2005 Basic Principles is expanded to a full citation during Coding. Basic Principles and Guidelines on the Right to a Remedy and Reparation for Victims of Gross Violations of International Human Rights Law and Serious Violations of International Humanitarian Law, General Assembly Resolution 60/147 (16 December 2005), [hereinafter 2005 Basic Principles], available online. UN Reports do not render the title in small caps. The pincite term “para.” is replaced with ¶ (followed by a space) during Coding. Because the pincite could be confused with the numbers which precede it, add “at”. See Report of the Secretary-General, The Rule of Law and Transitional Justice in Conflict and Post-Conflict Societies, UN Doc. S/2004.616, at para. 38 (August 23, 2004), available at https://www.un.org/ruleoflaw/files/2004%20report.pdf. [REMARK] (In 2004, the UN Secretary-General outlined a list of broadly defined goals. They include: retribution (i.e. bringing responsible perpetrators to justice), ending violations and preventing their recurrence, securing justice and dignity for victims, establishing “a record of past events,” promoting national “reconciliation,” “re-establishing the rule of law,” and contributing to the “restoration of peace.”). See Report of the Secretary-General, The Rule of Law and Transitional Justice in Conflict and Post-Conflict Societies, UN Doc. S/2004.616, at ¶ 38 (Aug. 23, 2004), available online. (In 2004, the UN Secretary-General outlined a list of broadly defined goals. They include: retribution (i.e. bringing responsible perpetrators to justice), ending violations and preventing their recurrence, securing justice and dignity for victims, establishing “a record of past events,” promoting national “reconciliation,” “re-establishing the rule of law,” and contributing to the “restoration of peace.”). Secretary-General outlined a list of broadly defined goals. They include: retribution (i.e. bringing responsible perpetrators to justice), ending violations and preventing their recurrence, securing justice and dignity for victims, establishing “a record of past events,” promoting national “reconciliation,” “re-establishing the rule of law,” and contributing to the “restoration of peace.”). The pincite term “paras.” is replaced with ¶¶ (followed by a space) during Coding. See [REPORT] United Nations Security Council, Report of the Office of Internal Oversight Services, Evaluation of the Methods and Work of the International Tribunal for the Former Yugoslavia, A/70/873-S/2016/441 at paras. 29–32 (May 12, 2016), available at https://oios.un.org/page/download2/id/26&usg=AFQjCNHu-CeYOCEjojg9NMonxFaxedjFlA [PDF]. See United Nations Security Council, Report of the Office of Internal Oversight Services, Evaluation of the Methods and Work of the International Tribunal for the Former Yugoslavia, A/70/873-S/2016/441 at ¶¶ 29–32 (May 12, 2016), available online. Even though the title ends with a question mark, a comma is still appended. How can the Performance of the ICC be Properly Assessed?, ICC Forum (July 10, 2017), available at https://iccforum.com/performance. How can the Performance of the ICC be Properly Assessed?, ICC Forum (Jul. 10, 2017), available online. URL provided is to his anchor on the main issue page for his comment. As the author is a member of the ICC Forum, his name is wrapped with a link to his profile page during Coding. Pincite to a section or paragraph marker is not preceded by a comma. Cedric Ryngaert, Some Reflections on Securing the Arrest of ICC Fugitives, ICC Forum § 2 (February 13, 2014), available at https://iccforum.com/arrest#Ryngaert. Cedric Ryngaert, Some Reflections on Securing the Arrest of ICC Fugitives, ICC Forum § 2 (Feb. 13, 2014), available online. URL provided is to the permalink. Al Mariam, Saving the ICC: A Proposal for a Witness Protection Program, ICC Forum (April 6, 2014), available at https://iccforum.com/forum/permalink/91/4167. Al Mariam, Saving the ICC: A Proposal for a Witness Protection Program, ICC Forum (Apr. 6, 2014), available online. As an invited expert of the ICC Forum, the author’s name is wrapped with a link to his profile page during Coding. David Scheffer, Video Lecture, Comment on the Arrest Question: What Steps Can and Should the ICC Take to Secure the Arrest and Surrender of Indictees?, ICC Forum, at 26:36 (February 5, 2013), available at https://iccforum.com/forum/arrest-lecture. David Scheffer, Video Lecture, Comment on the Arrest Question: What Steps Can and Should the ICC Take to Secure the Arrest and Surrender of Indictees?, ICC Forum, at 26:36 (Feb. 5, 2013), available online. URL is directly to invited expert’s comment on the ICC Forum. Date of earlier version is the launch date for that issue. As author is an invited expert, his name is linked to his profile page on the ICC Forum during Coding. Pincite to page 202 follows the book title without a preceding comma. Second and subsequent pages would be separated by a hyphen (replaced with an en-dash in Coding) to indicate a range or, in this case, a comma to indicate a single separate page. Generally, there would be a comma prior to “available at”, but when the text that precedes it is describing the URL — “earlier version (October 6, 2011) available at …” — then the comma is omitted. [BOOK] William W. Burke-White, Maximizing the ICC’s Crime Prevention Impact Through Positive Complementarity and Hard-Nosed Diplomacy, in Contemporary Issues Facing the International Criminal Court 202, 212 (Richard H. Steinberg ed., 2016), earlier version (October 6, 2011) available at https://iccforum.com/prevention#Burke-White. William W. Burke-White, Maximizing the ICC’s Crime Prevention Impact Through Positive Complementarity and Hard-Nosed Diplomacy, in Contemporary Issues Facing the International Criminal Court 202, 212 (Richard H. Steinberg ed., 2016), earlier version (Oct. 6, 2011) available online. URL is directly to invited experts’ comment on the ICC Forum. Date of earlier version is the launch date of that issue. As authors are invited experts, their names are linked to their profile pages on the ICC Forum during Coding. Generally, there would be a comma prior to “available at”, but when the text that precedes it is describing the URL — “earlier version (March 17, 2013) available at …” — then the comma is omitted. Two authors’ names are separated by an ampersand. M. Cherif Bassiouni & Douglass Hansen, The Inevitable Practice of the Office of the Prosecutor, in Contemporary Issues Facing the International Criminal Court (Richard H. Steinberg ed., 2016), earlier version (March 17, 2013) available at https://iccforum.com/africa#Bassiouni. M. Cherif Bassiouni & Douglass Hansen, The Inevitable Practice of the Office of the Prosecutor, in Contemporary Issues Facing the International Criminal Court (Richard H. Steinberg ed., 2016), earlier version (Mar. 17, 2013) available online. The website supreme.justia.com/ is recommended, but not required, for U.S. Supreme Court case citations. When PDF format files preserve the original formatting, they are preferred over text pages. Planned Parenthood of Southeastern Pennsylvania et al. v. Casey, Governor of Pennsylvania, et al., 505 U.S. 833, 865–66 (June 29, 1992), available at https://supreme.justia.com/cases/federal/us/505/833/case.pdf. Planned Parenthood of Southeastern Pennsylvania et al. v. Casey, Governor of Pennsylvania, et al. , 505 U.S. 833, 865–66 (Jun. 29, 1992), available online. When citing statutes, providing a URL is particularly important. If one exists, use the name of the section rather than a common name, like “Alien Tort Act”. The common name, however, can be used for the hereinafter reference. Unnecessary to string additional reporters together — i.e. if citing to 28 U.S.C. § 1350, don’t also cite to 62 Stat. 934. Alien’s Action for Tort, 28 United States Code sect. 1350 (June 25, 1948) [hereinafter Alien Tort Act], available at https://www.law.cornell.edu/uscode/text/28/1350. Alien’s Action for Tort, 28 U.S.C. § 1350 (Jun. 25, 1948) [hereinafter Alien Tort Act], available online. For a speech, the speakers position follows their name. Where the speech was given is sometimes important. This speech had a title; many do not. The recognized signal is italicized during Coding. An archive link was created for this source. See, e.g., Fatou Bensouda, ICC Prosecutor, Remarks at Tenth Plenary Meeting, Discussions on the Efficiency and Effectiveness of Court Proceedings (November 24, 2015), available at https://www.icc-cpi.int/Pages/item.aspx?name=otp-stat-24-11-20015-asp, archived at http://www.webcitation.org/6rW8KnxVT. See, e.g., Fatou Bensouda, ICC Prosecutor, Remarks at Tenth Plenary Meeting, Discussions on the Efficiency and Effectiveness of Court Proceedings (Nov. 24, 2015), available online, archived. See Press Release, FIDH, Termination of Ruto and Sang Case at the ICC: Witness Tampering Means Impunity Prevails over Justice Again (May 4, 2016) [hereinafter Termination], available at https://www.fidh.org/en/region/Africa/kenya/termination-of-ruto-and-sang-case-at-the-icc-witness-tampering-means. [BLOCKQUOTE] (“The systematic witness tampering and intimidation experienced in the Kenya cases has denied thousands of victims of the post-election violence the justice they rightfully deserve.”). See Press Release, FIDH, Termination of Ruto and Sang Case at the ICC: Witness Tampering Means Impunity Prevails over Justice Again (May 4, 2016) [hereinafter Termination], available online. James Graham Stewart, Atrocity, Commerce and Accountability: Corporate Responsibility for International Crimes (2013) (Unpublished Juridicae Scientiae Doctor Dissertation, Columbia University), available at https://academiccommons.columbia.edu/download/fedora_content/download/ac:188545/content/Stewart_columbia_0054D_11424.pdf, doi at https://doi.org/10.7916/D85T3JVT. James Graham Stewart, Atrocity, Commerce and Accountability: Corporate Responsibility for International Crimes (2013) (Unpublished JSD Dissertation, Columbia University), available online, doi. If different, use the distribution company rather than the producer. The Reckoning (Skylight Pictures, July 14, 2009), available at https://vimeo.com/ondemand/thereckoning/19673413 [PAYWALL]. The Reckoning (Skylight Pictures, Jul. 14, 2009), paywall. The Godfather (Paramount Pictures, 1972), available at https://www.youtube.com/watch?v=vdQi6Ebjm8c [PAYWALL]. The Godfather (Paramount Pictures, 1972), paywall. Last updated Monday, January 28, 2019. Page authored by Christopher Werby and maintained by Pipsqueak Productions, LLC.